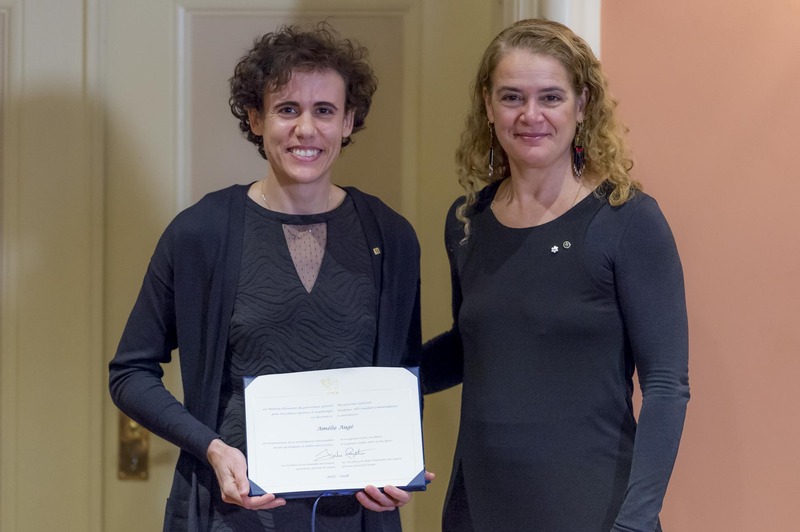 Her Excellency the Right Honourable Julie Payette, Governor General of Canada, presented the Governor General’s Academic All-Canadian Commendation for the 2017-2018 season to eight recipients during a ceremony at Rideau Hall. 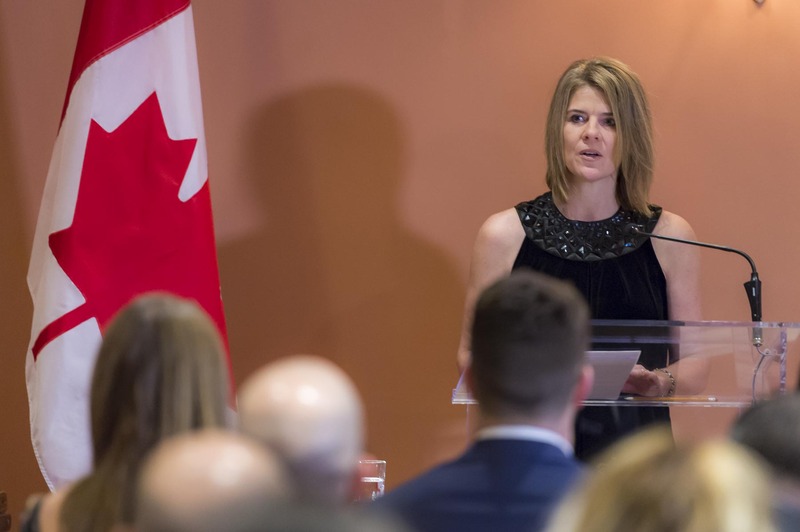 The Governor General’s Academic All-Canadian Commendation recognizes student-athletes who have maintained an average of 80 per cent or higher over the academic year while playing on one or more of their university’s varsity teams. U SPORTS selects one female and one male student-athlete from each of the four conferences. 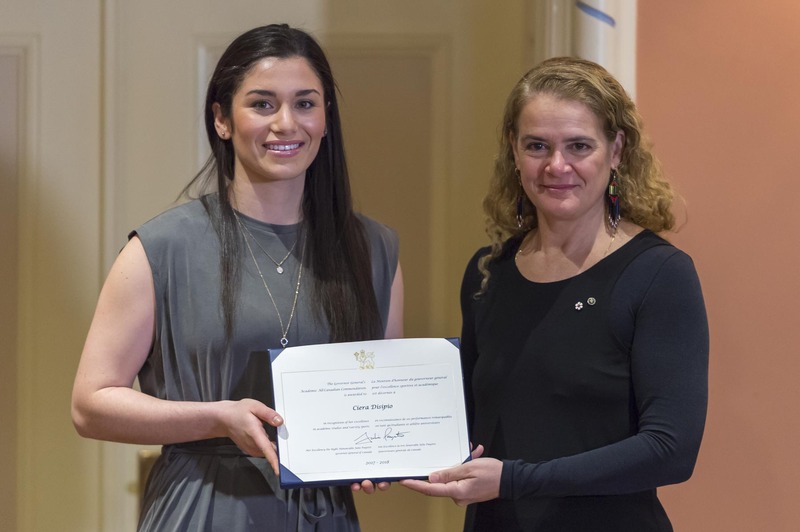 The Governor General presented the Governor General’s Academic All-Canadian Commendation for the 2017-2018 season to eight recipients during a ceremony at Rideau Hall. 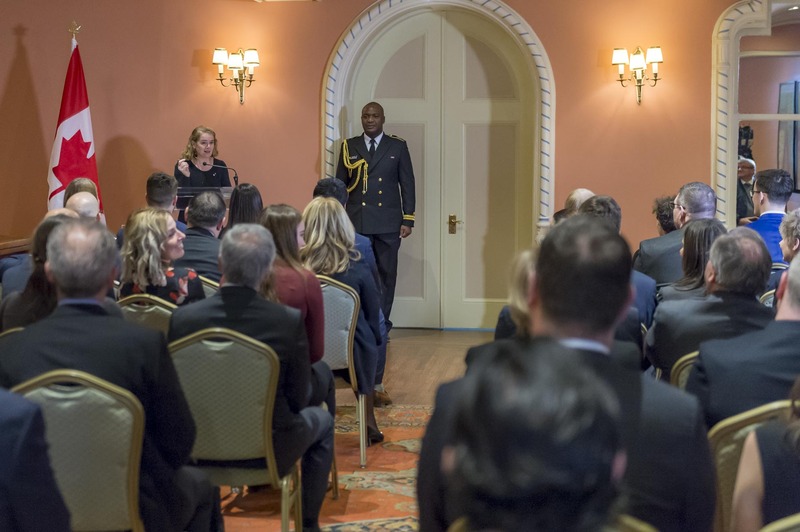 The Governor General presented the Governor General’s Academic All-Canadian Commendation for the 2017-2018 season to eight recipients during a ceremony at Rideau Hall. At the beginning of the ceremony, the Governor General delivered remarks. 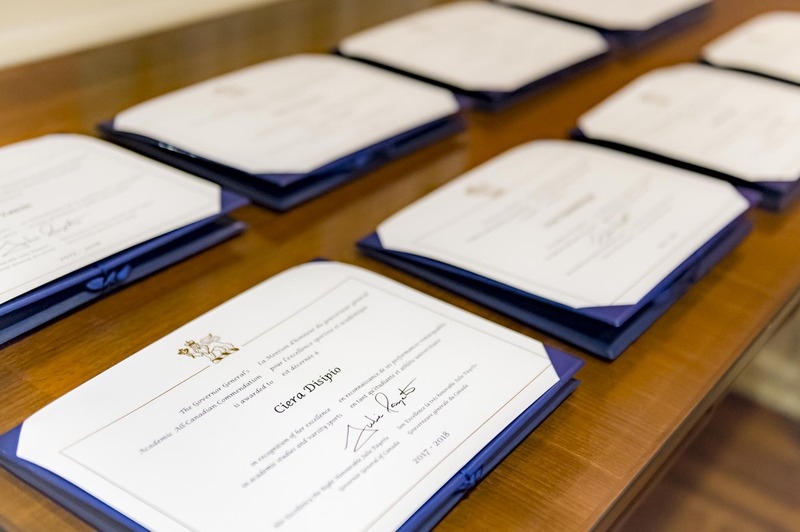 The Governor General presented the Governor General’s Academic All-Canadian Commendation for the 2017-2018 season to eight recipients during a ceremony at Rideau Hall. Ms. Lisette Johnson Stapley from U SPORTS read the recipient’s citations. 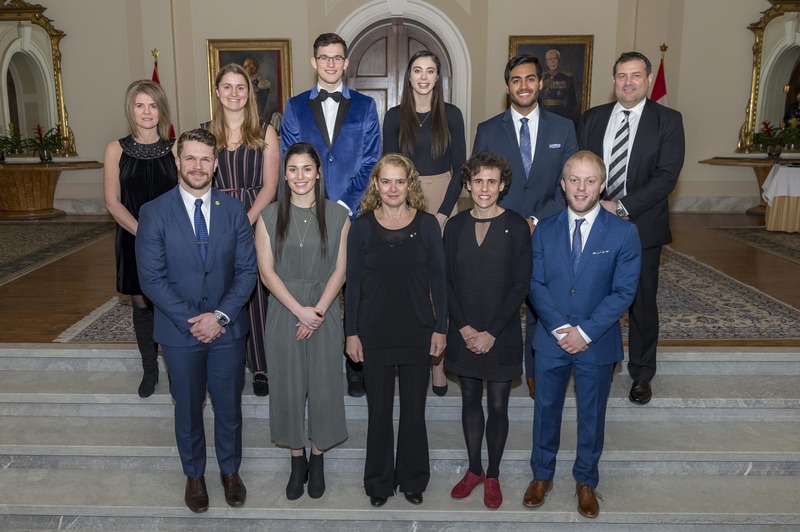 The Governor General presented the Governor General’s Academic All-Canadian Commendation for the 2017-2018 season to eight recipients during a ceremony at Rideau Hall. Ciera Disipio was one of the recipients. 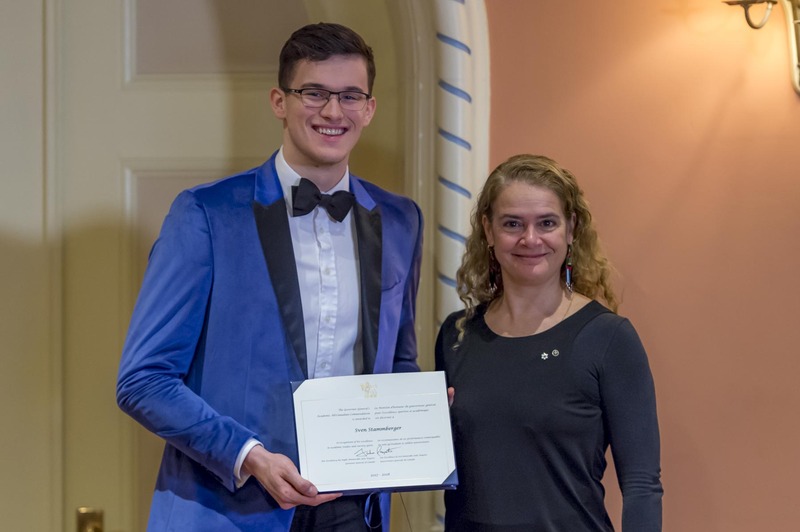 The Governor General presented the Governor General’s Academic All-Canadian Commendation for the 2017-2018 season to eight recipients during a ceremony at Rideau Hall. Amélie Augé was one of the recipients. 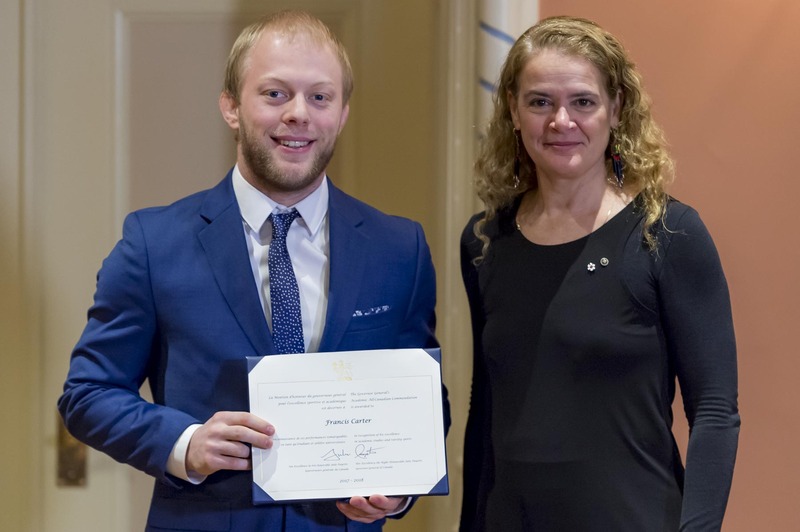 The Governor General presented the Governor General’s Academic All-Canadian Commendation for the 2017-2018 season to eight recipients during a ceremony at Rideau Hall. Francis Carter was one of the recipients.